Crowdfunding – or crowdFUNKing, in our case, dear Steamfunkateers – fundraising (or funkraising) by collecting relatively small amounts of money from many different people, has become quite popular in recent years. We all know about the ever-so- popular Kickstarter, considered by many to be the king of crowdfunding, but we often forget the first startup to help the “little guy” bring his or her big creations to the world: San Francisco-based IndieGoGo, which has proven to be quite successful at helping to bring amazing Steampunk projects to life. Founded in January 2008, IndieGoGo has continuously fulfilled its vision by helping multitudes fulfill theirs. “We’re really aiming to empower the dreams of many, whether it be through getting money for a liver transplant, or a new album, or a restaurant,” says CEO Slava Rubin. 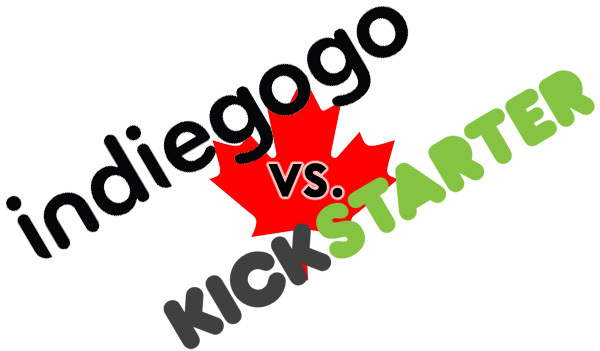 IndieGoGo campaigns receive all the money they have been pledged, whether the initial funding goal was reached or not. Kickstarter campaigns only receive their money if they reach their initial funding goal by its designated date. IndieGoGo is available internationally, while Kickstarter requires a U.S. bank account. IndieGoGo takes a 4 percent fee on funds raised. Kickstarter’s fee is 5 percent. To be sure, both Kickstarter and IndieGoGo have their perks. Kickstarter is hugely popular, particularly because it is fantastic for finding and funding creative projects such as music albums or independent graphic novels. But IndieGoGo funds all kinds of projects, from helping bands travel to – and play at – the Steampunk World’s Fair to raising money for an individual who needs cancer treatment. When we decided to crowdfund our film, Rite of Passage, we decided to entrust our project to IndieGoGo because they provide better perks and a more intimate relationship with their customers than the other startups. We felt that the first Steamfunk feature film in the history of man deserved a crowdfunding site as magnificent as the series is. After extensive research, we went with Indiegogo. Please share your crowdfunding experiences. We would love to hear them! To support our project and to help tell the stories that need to be told, please visit http://www.indiegogo.com/projects/rite-of-passage-the-steamfunk-movie/x/3264298. Posted by Balogun on May 15, 2013 in Afrofuturism, Film, Harriet Tubman, Historical Fiction, Science Fiction and tagged afrofuturism, crowdfunding, rite of passage, steamfunk, steampunk. Support this awesome project :)!! Another wonderful film project that needs our support.